Prior to vision correction surgery, the ophthalmologists of Vision Sud Santé will perform a comprehensive eye exam and evaluate your vision to determine if you would be a suitable candidate for surgery. i-LASIK® vision correction is a reliable, effective treatment whose accuracy lies on the quality of the pre-operative examination. The corneal exam (thickness, elasticity, topography map), and the retina and optic nerve exam are among the main examinations performed for each eye. 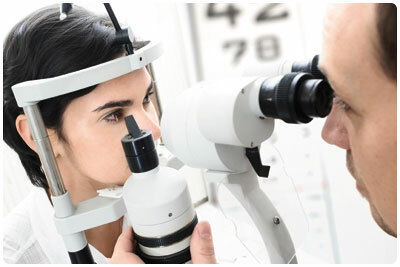 The full eye exam allows to measure the defect(s) of vision very precisely, detect a potential contraindication to laser surgery, and determine the most suitable technique if the surgery procedure can be performed. During this examination, the ophthalmologist will discuss about your expectations and motivations, and will answer all your questions so as to enable you to make an informed decision with transparency about the eye surgery.